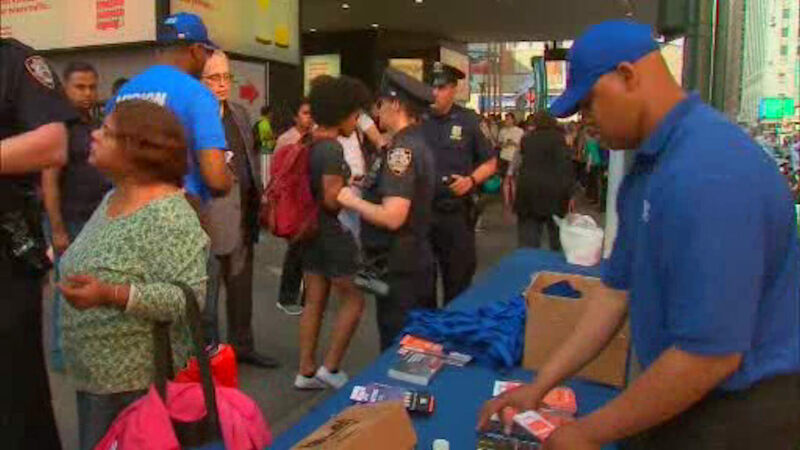 NEW YORK (WABC) -- In advance of Memorial Day weekend, the NYC Department of Transportation and the NYPD teamed up on Wednesday to remind people to stay safe while traveling. The DOT's Vision Zero Street Team joined members of the NYPD on the corner of 32nd Street and 7th Avenue, right outside of Penn Station. They reminded people to stay sober behind the wheel by administering breathalyzer tests to show just how quickly a person can reach the .08 blood alcohol legal limit. This community outreach initiative was part of a citywide DWI enforcement initiative that's ongoing throughout Memorial Day weekend.